Georgina joined the Bar in 2009 after a successful 15 year career as a solicitor. Her experience is reflected in performance well above her call. Her first Supreme Court appearance was in 2013 and she has since appeared in various appeal forums including the Court of Appeal where she also has two cases pending. She has been praised for her clear advice, persuasive advocacy, and excellent client service. She is Junior Counsel to the Attorney General (C Panel) and was ranked by the Legal 500 as Tier 1 leading junior for IT & Telecoms (Regulatory). Georgina has particularly wide experience in employment law work; both on an individual and collective basis. Recent notable cases include the trade union detriment appeal in Dunkley v Kostal; the Addison Lee employment status appeals, and acting for Coutts Bank – successfully defending claims of equal pay and associated Equality Act claims, as reported in The Times. Georgina’s telecoms work ranges from competition and regulatory work in the CAT and Court of Appeal to wayleaves actions. Georgina also has experience in general civil and commercial cases, as well as a growing tax practice. 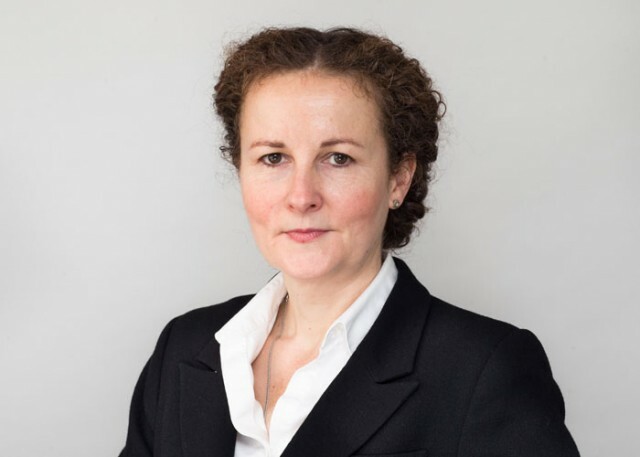 During her time as a solicitor, Georgina spent 6 years in a Legal Aid firm, specialising in employment, personal Injury and Judicial Review gaining advocacy experience in ETs, CICA appeals, and interlocutory hearings. She then joined the Engineering Employer's Federation, gaining experience of respondent work within the field of employment, before becoming Head of Employment at Taylor Willcocks solicitors. She obtained an MBA before spending her last 7 years as a solicitor working in-house as Director of Legal Services at what became the UK’s largest union, with 2.2 million members covering engineering, transport, banking, health professionals, printers, construction workers, and many others. She has a special interest in the cross over between commercial and competition law, and their impact in the employment sphere. She writes the age discrimination section of Bloomsbury Discrimination Law, and regularly speaks and write on industrial and individual employment law issues. Click here for the full transcript of the CAT's decision in Ethernet. Georgina has experience in Competition Law,most recently in the Ethernet litigation at the Competition Appeal Tribuanl, and has enjoyed leveraging the financial understanding from her MBA in the course of dealing with the accounting and economics aspects of this work. She has advised in a number of misrepresentation claims. Georgina has a specialist knowledge of fines and penalties in the fields of Regulatory Law and Insurance. She also has experience in Telecoms Regulation. She is also experienced in the regulatory aspects of employment law and professional regulation. Georgina is a trained mediator. Georgina’s lecturing experience ranges from two years teaching ILEX Civil Litigation in the late '90s, to numerous employment law courses both for managers and for trade unionists, and legal conference presentations including IRS and American Bar Association international Labor Law Conferences in Washington and Beijing. Past publications include co-authoring the IER booklet on the Employment Act 2008, and her own 'Legal Eagle' monthly employment law column for the Daily Mirror. She has also accepted an invitation to speak at the American Bar Association Labor Law International Conference in Rome in May 2013. She has also performed in, and helped write materials for, mock trials for solicitors and their clients on topics ranging from the Agency Worker Regulations, to age discrimination and basic unfair dismissal. ALBA, COMBAR, ELA, ELBA, ILS, LCLCBA, PNBA. Company v director: who pays for wrongdoing?